Our Bulbs are different - They are KIND as are those who purchase them. With the power of one bulb comes the power of another. 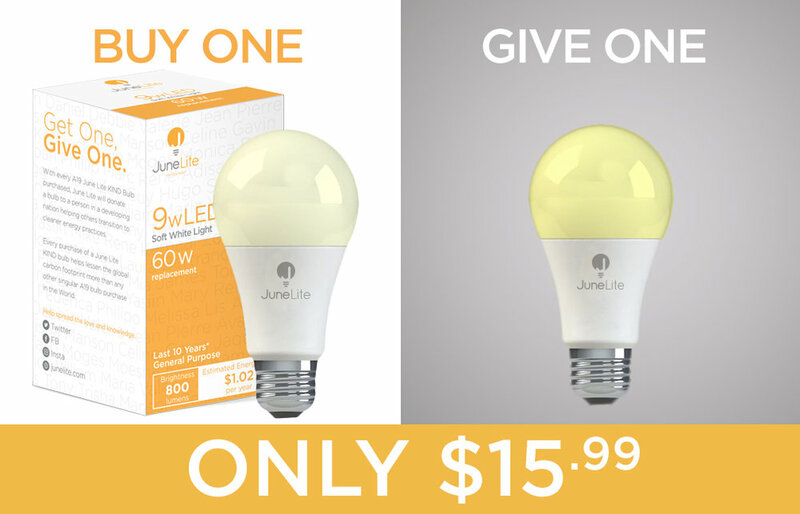 For each June Lite KIND Bulb purchased June Lite will donate one to someone in a developing nation. We and our partners are committed to lessening the global carbon footprint one KIND LED bulb at a time. Those we sell are a 9W Soft White bulb and those we give, depending on the region, are engineered to be more difficult for certain insects to see such as malaria-carrying mosquitos. Let's work together to create climate change with the flick of a switch!